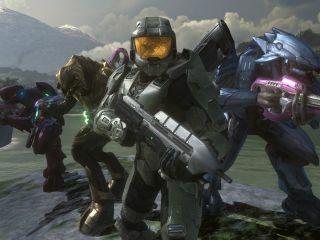 The launch of Halo 3 in mid-September helped boost sales of the Xbox 360 beyond those of the bumper-selling Nintendo Wii. The NPD Group says that in the US, Xbox 360 sales leapt to 527,800 units in September, compared with the Nintendo Wii's 501,000. "Halo 3 posted phenomenal results for just 12 days of sales in the month of September," said NPD analyst Anita Frazier. "True to its name, [Halo 3] rubbed off on hardware sales too - the Xbox 360 realized its best month ever in unit hardware sales outside last holiday season. If ever there was a doubt that great content drives hardware acquisition, this should put that doubt to rest. "We expected software sales to soar due to Halo 3, but hardware sales are impressive this month," Frazier added. "The Wii had its second best month ever as more inventory made its way to stores and into consumers hands, and PSP sales benefitted from the new Daxter bundle. Next month, with the PS3 price reduction, we should see a notable increase in sales of that platform." In the UK, the Xbox 360 got its biggest sales spike just after Halo3 launched on 26 September. According to unofficial videogame charts site VG Chartz, Xbox 360 sales hit a giddy high of 36,068, beating both the Nintendo Wii (28,082) and the PlayStation 3 (6,644). Xbox 360 sales have now tailed off, dropping down to 17,201 in the latest mid-October figures from VG Chartz. The Wii has seen only a small rise in sales, halting what had been a steady decline due to a lack of high-profile software. The big winner in the console battle has been Sony's PS3 which, according to the latest VG Chartz data, sold more last week than the Xbox 360 did for the first time. Not by much - 18,380 units to 17,201. But a win's a win. The recent PlayStation 3 price cut is obviously working for Sony. Microsoft has a real fight on its hands.